The Tattooist is a cinematic mindfuck. That's pretty much the only way I can think of to describe what Malaysian filmmaker Michael Wong has crafted in the short span of 1:20. That's 80 seconds. NOT 80 minutes. In the multi-award winning film, Wong does a cinematic slam dunk centered around a renowned tattooist with a relentless obsession and a dark, sinister secret. The Tattooist is inspired by a project Wong worked on for Scream Zone Beijing, where Wong is now based, serving up horrifyingly immersive escape room experiences with a decidedly dark bent. One such experience, "The Tattooist," is described as follows "‘The Tattooist’ studio is renowned for its remarkably crafted tattoos. But during your visit, you’ve been drugged and imprisoned with other unfortunate victims that bear his prized masterpiece. Fight your fears, solve intricate puzzles, and race against time to escape from The Tattooist before you end up as a victim of his morbid obsession!" The film, in essence, provides a glimmer of the experience those who dare to enter will have and it also features two of Beijing's tattoo artists whose work is featured in the film. 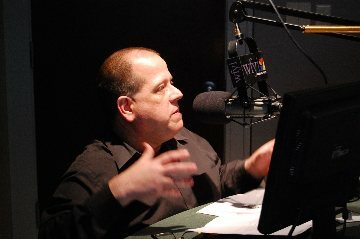 The Tattooist also features appearances by members of Troy's Team Action and was actually filmed in the very escape rooms utilized. As a relative wimp when it comes to the escape room experience, even if life takes me to Beijing anytime soon I pretty much guarantee I won't be stopping by Scream Zone Beijing. 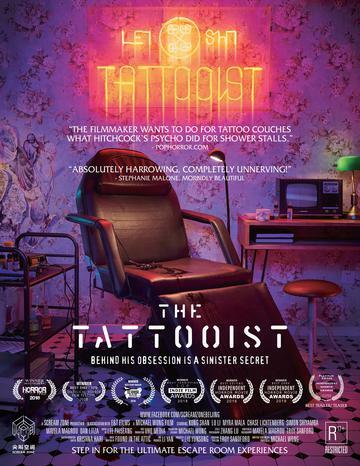 The Tattooist is beautifully photographed, stunningly hypnotic and, yeah, a complete mindfuck from beginning to end. It's a must see for indie horror fans and a must experience for those who embrace immersive horror. The Tattooist has proven to be quite successful on the indie fest circuit having picked up prizes at Bloody Horror International Film Festival, Calcutta International Cult Film Festival, Cult Critic Movie Awards, Diabolical Horror Film Festival, Horrorhaus Film Festival, Independent Horror Movie Awards, Independent Shorts Awards, Top Indie Film Awards, and Terror in the Bay Film Festival. I have few doubts that the film will continue its award-winning ways along its festival run. For more information on The Tattooist, visit the film's Facebook page linked to in the credits.